Dr Maree Petersen is a lead investigator on a number of research projects concerned with housing and older people. A program of research over the past six years has comprised three projects concerned with understanding older people's homelessness in Australia, addressing the housing and support needs of older women experiencing homelessness, and advocating for the intersection of housing, homelessness and aged care policy. A new ARC Discovery grant will add to this program of research with a large qualitative study examining the life course circumstances that result in insecure housing tenancy in old age. The project aims to identify the critical points at which intervention will prevent the emergence of housing disadvantage. Maree has a longstanding interest in older people's access to community aged care. She was a CI on an ARC project concerned with rural older Australian's wellbeing seeking to understand the experience of growing old in rural and remote areas, and access to health and aged care services. A project concerned with how older renters manage their health in private rental housing, in particular accessing home maintenance and modifications, extends her concern with the wellbeing of poor older people. How older people manage the financial and contractual obligations in retirement village life brings attention to the difficulties people with limited resources experience in managing their residency. A social work background brings a focus on disadvantaged older people to her research, in particular the connections between health and wellbeing of poor older people, housing, and the community they live. 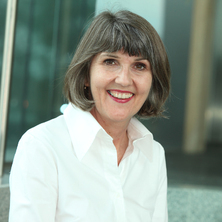 Dr Petersen teaches in social work, and supervises students in social gerontology; and housing, homelessness research. She is Program Lead for the Masters of Social Work Studies program. Findings from a national project concerned with preventing older people homelessness provided empiricial understanding that older people's homelessness in Australia is predominately a pathway arising from renting in the private market. This project also examined approriate policy and practice interventions to prevent, rehouse, and support older people. Invitations to present as several housing conferences; as well as consumer and service provider forums provided opportunity to disseminate results. This has led to ongoing relationships with service providers across housing and community care for older people, and presenting at the Senate Committee of Housing Affordability. Closely aligned but distinct is research on housing and suport to assist older women experiencing homelessness. This project received extensive media coverage across print, radio and television venues. Politicans has requested this report. I along with the Mercy Foundation, communities agencies specialising in this area work together in a national group to advocate for housing for older women. A study in south east Queensland on understanding the financial and contractural obligations in relation to retirement village entry, residency and exit was published at the time there was considerable attention to retirement village contracts. Understanding what factors impact hospital social workers prioritisation of referrals; a qualitative study. The housing security afforded by the later life housing circumstances of ex-service households of Queensland: A life course perspective. Jones, Andrew and Petersen, Maree (2014). Older people. In Chris Chamberlain, Guy Johnson and Catherine Robinson (Ed. ), Homelessness in Australia, an introduction (pp. 135-154) Sydney, NSW, Australia: NewSouth Publishing. Petersen, Maree (2015) Addressing older women's homelessness: service and housing models. Australian Journal of Social Issues, 50 4: 419-438. Residential complexes in Queensland, Australia: A space of segregation and ageism? Petersen, Maree and Jones, Andrew (2011) Homelessness and older Australians: Developing a research evidence base. Parity, 24 9: 31-32. The Eden model: Innovation in Australian aged care? Petersen, M. (2012). A geography of older women at risk of homelessness in Brisbane, Queensland. In: 6th Australasian Housing Researcher's Conference, Adelaide, SA, Australia, (). 8-10 February 2012. Maree Petersen (2009). Spaces of Ageing: the distinctive geographies of residential complexes PhD Thesis, School of Social Work and Human Services, The University of Queensland.